That leaves two - one killer and one perfect witness. This killer will stop at nothing to make sure the witness says nothing. Difficult for most people, even for someone who's been guarding a secret of his own for five years. What if the witness decides he's been silent too long? Sometimes even the unspeakable must be spoken, if we can find the words. 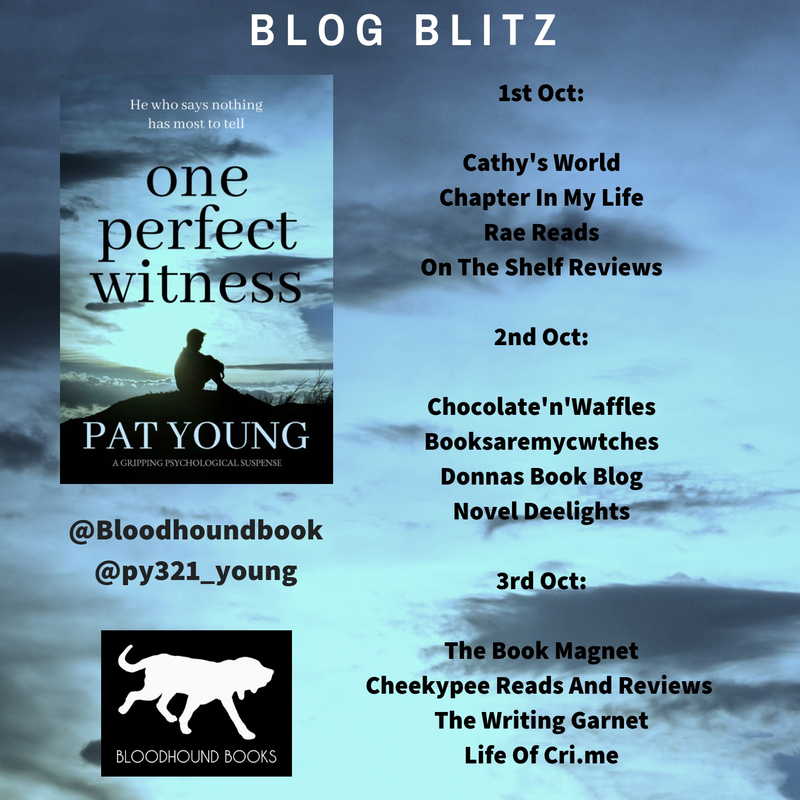 Pat Young is such a talented writer and I am pleased to say that I have read all three of her excellent books. 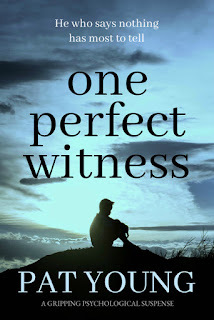 One Perfect Witness is her latest book and I have to say that it completely tugged on my heartstrings, often bringing tears to my eyes, as Charlie struggled to be noticed by his parents. Charlie totally stole the show as the main character and you can't help but take this young lad to your heart. Now twelve years old, he stopped talking when he was younger and nobody knows why. He is tired of going unnoticed by his parents and he makes a rash decision to steal his father's gun that will have explosive consequences. 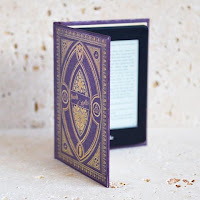 All of this happens in chapter 1 and with such an amazing jaw dropping ending to an opening chapter, I just had to read on. Sebastien, meanwhile, is going on an adventure. Swapping sunny Paris for a summer job in wet and windy Scotland, but his mother has a bad feeling about him leaving. A mother's instinct is never wrong and my heart was breaking for Catherine as she tried to locate her son. 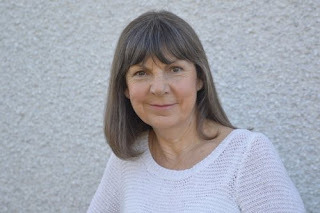 With someone now assuming Sebastien's identity, Catherine's emotions were put through the wringer as she went from worrying about her son's safety to elation that he was safe but too busy to call her. Unfortunately, Charlie and Sebastien's paths were destined to cross, albeit briefly, which will change both of their lives forever. Can Charlie ever speak the words that will take Sebastien home? 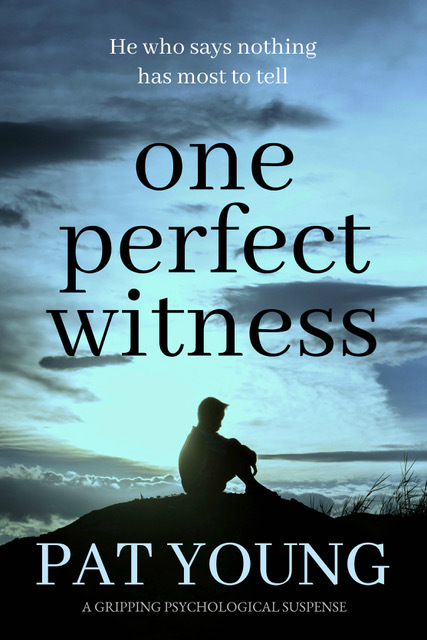 With an absolutely killer first chapter, One Perfect Witness hooked me from the start. I was willing Charlie to find the strength to speak and put an end to the campaign of terror he was being subjected to. There was a strong sense of family running through the story and I couldn't help but compare Charlie and Sebastien. The love that Sebastien's family had for him was plain for all to see but Charlie felt like he was invisible and that absolutely broke my heart. One Perfect Witness is another unforgettable book by Pat Young; it's a book that will simultaneously get your heart racing and breaking with the fast paced dysfunctional family storyline.